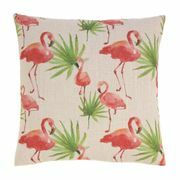 Flamingo with Palm Fronds Decorative Throw Pillow 17 x 17. Bold coral and tropical green palm fronds, pop like a firework display of colors! 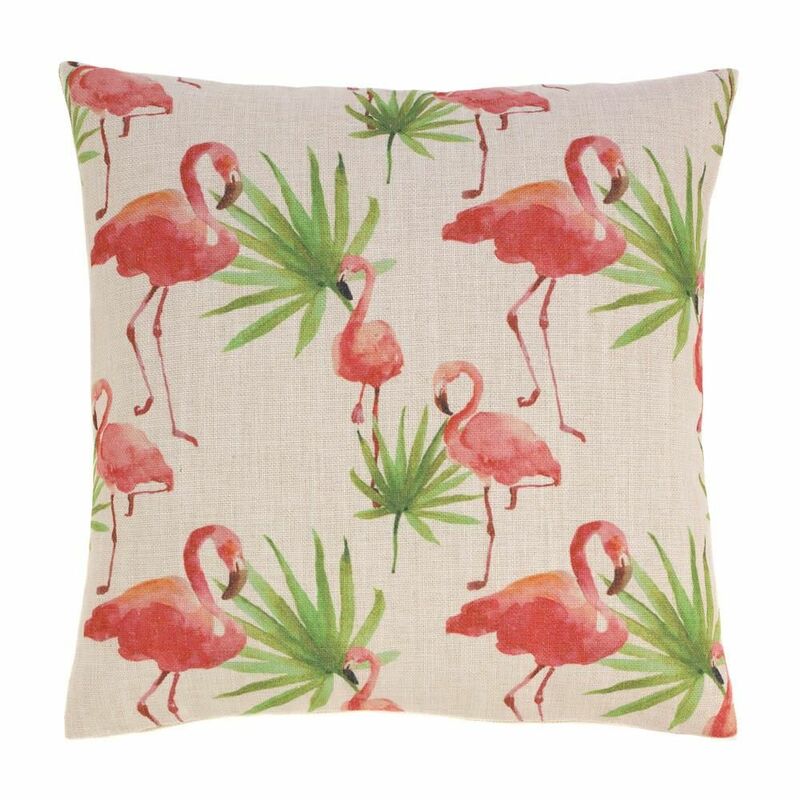 This flamingo print pairs nicely with our Hawaiian Botanics Pillow and will gook great on a sofa, armchair or bed. Zippered cover for easy removal and cleaning. Polyester. Machine wash cold. Do not bleach. Do not tumble dry. Iron low heat.